Carol holds a Master of Science in Oriental Medicine from New York College of Health Professions in the study of Acupuncture and Chinese Herbal Medicine. Carols licensed to practice in New York State and has received a Diploma of Massage Therapy from New York College of Health Professions. Additionally she is a certified NAET practitioner. 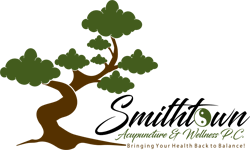 Carol brings over 20 years of experience in healthcare and applies this to her treatments at Smithtown Acupuncture and Wellness.